Ahead of the all-women's pay-per-view, a "Road to Evolution" special will be airing next week. 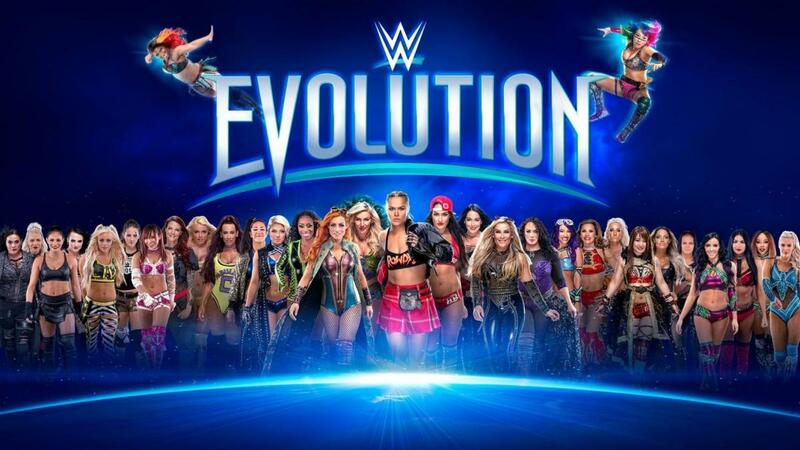 WWE describes Road to Evolution as: "The special will look back on the groundbreaking Women’s Evolution in WWE, featuring Superstars of the past, present and future coming together to celebrate a new chapter in WWE history." The special will premiere on the USA Network after Monday's Raw, which is the go-home show for Evolution. Road to Evolution will also air on the E! network at 10 p.m. Eastern time on Wednesday (October 24), which is right after Total Divas.